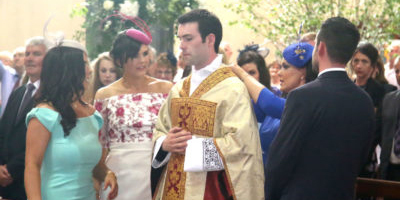 Fr Gerard is vested with the stole and chasuble, the vestments of a priest, by his sisters Christina, Carmel, Caroline and his brother Joseph. 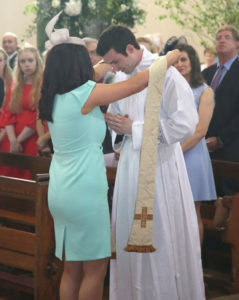 Gerard is vested with the priest’s stole by his sister Christina. 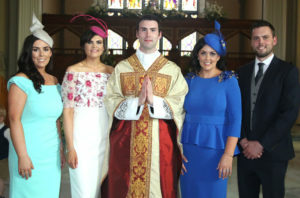 by his sisters Christina, Carmel, Caroline and his brother Joseph. 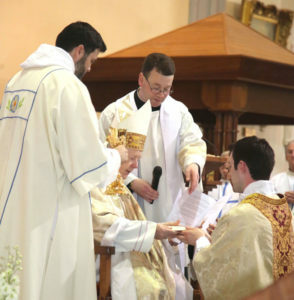 Archbishop Neary presents the paten to Gerard. 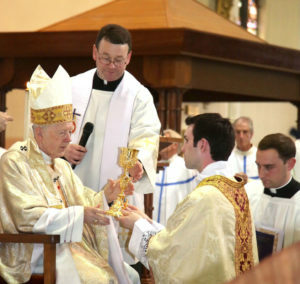  Archbishop Neary presents the chalice to Gerard. 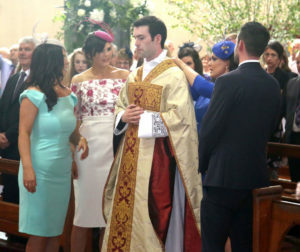 L-R: Christina Quirke, Carmel Marley, Caroline Higgins, Joseph Quirke. 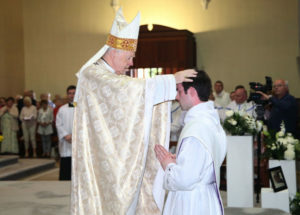 Moment of Ordination: Archbishop Neary, ordains Gerard priest through the age old tradition of the laying on of hands. 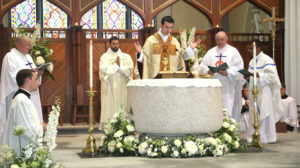 Fr Gerard concelebrates the Mass following his ordination.